The Guyana Hindu Dharmic Sabha’s annual Deepavali Motorcades will be held in eight locations across Guyana from November 2-5, 2018. Diwali will be celebrated on November 6. According to the Sabha, the largest motorcade will be held in Georgetown/ East Coast Demerara on November 5. 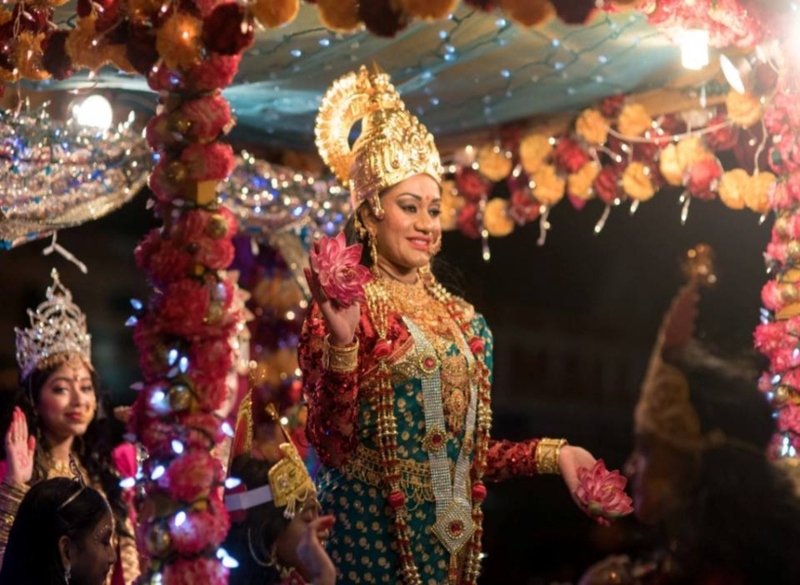 The decorated floats will assemble at the Shri Krishna Mandir in Campbellville from 5:30 pm and will leave at 6:30 pm via its traditional route along Sandy Babb Street for Vlissingen Road and then along the Seawall to the Chateau Margot Ground, East Coast Demerara. The change from the usual ending point at LBI to Chateau Margot is as a result of the LBI Community Centre Ground being leased to the Guyana Cricket Board (GCB) recently. The GCB has informed the Sabha that works will be commencing at the LBI Ground shortly and, as such, the ground is not available for this year’s motorcade. The Chateau Margot Ground is located immediately before the LBI Ground and will be the site for a fabulous cultural programme and presentation of prizes starting at 7pm. Over the last 44 years, the Diwali Motorcade has become a highlight is Guyana’s cultural and tourism calendar is considered as the largest event held in Guyana annually drawing thousands along the route of the motorcade and at the final venue. The floats have gotten more creative and extravagant each year and are truly a treat for the eyes and a reflection of excellent Guyanese creativity and workmanship. The floats will depict various themes associated with the festival of Diwali.